Really wanted a pretty specific car, a 2006 Jeep Commander with the Hemi and Darrell found me one all the way in New Jersey! What a dealer, to go above and beyond to help me get exactly what I wanted! It couldn't have been easier and I will refer anybody I know to this place. There was no pressure, very laid back, no hidden fees that you always run into at other dealerships! I feel like I got a great deal so 5 stars all the way and more if I could! I actually work at a different dealership, but knew Darrell could get me a better deal than my own bosses would even think of giving me. I've known him for several years and he's one of the few straight shooters I've ever met in the car business. Came in just looking, but glad I stayed. Good truck good price and it didn't take long. This is the second car we have bought from these guys and have had the best time each time! Darrell got me and my wife financing I didn't think we could get. Next up is a car for our daughter! Highly, highly recommend!! Love my new car! Had the best experience at this dealership! Can't believe how well I was treated and how much they actually cared about me and what I needed. I got a great deal and Darrell the manager and Mike the owner both treated me like I was more than just a sale to them! So refreshing from the big dealership's I had been to before!! Highly recommended! Love these guys!!! They didn't have the car I really wanted, but they were so helpful they located the car for me and got me exactly what I wanted!!!! Thank you sooo much!!! Can't recommend Paquales enough!!! Came in looking for a work truck for my company but left with 2 cars because I felt like I got such a good deal. Wish I had found this place sooner. Will definitely be back to buy more work tricks in the future! Thank you guys so much! Bought an 08 Escalade and after a lot of shopping and hassle, these guys were super helpful! I hate car shopping! Horrible and dredful but these guys treated me so nice and have me a great deal on the SUV and on my trade in. I'm already telling my family and friends to go there and I'll definitely go there again. My husband needs a new truck soon!!?? Great great experience....I thought I had to go to a buy here pay here to get a car but Darrell had a first time buyers program and got me a great rate and a great car! Literally half the interest others said id be forced to pay. I cant wait to build my credit and buy another car there! 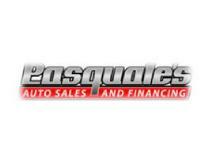 At Pasquale's Auto Sales we are proud of the quality used cars we sell and our dedication to serve the needs of our customers. This is reflected in the amount of repeat business we receive. Whether this is your first purchase with us or one of many that you’ve had, you can count on our dedicated sales staff to make it the best buying experience possible. Bobbi Roark - 2012 . .
Family owned and operated, you can trust this auto sales to do right by your families money. Family taking care of family.  A Google User - 2011 . .
Bought 3 cars from there and got a great deal on all of them!! !